When people first join a gym, they're often unsure what they should do once they step inside the building. Some struggle to determine which exercises to do, others simply don't know how to do them. It's inspiring and motivating to be surrounded by dedicated, like-minded individuals. It doesn't get much more empowering than a class with an encouraging instructor and supportive people all working hard together. Group fitness is a great way to help motivate yourself and others to dig deeper and push harder in workouts. 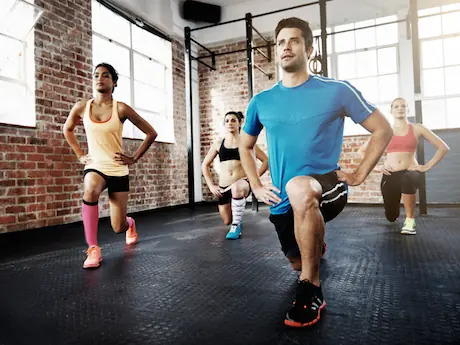 It's the fitness instructor's job to not only show proper form, but to also make sure that everyone in the class is executing each exercise the right way. Not only is proper form important for your muscles to reap the most out of every exercise, but it also helps eliminate potential injuries. Sue Parke is a certified group exercise and Pilates instructor. She's also a brand ambassador and a contributing writer for various companies. She loves running, hiking, skiing and strength training. Sue is also a singer and graduate from Berklee College of Music with a degree in Songwriting. She enjoys spending time with her husband and daughter, and including them on her outdoor fitness adventures. Sue can be found on Twitter, Facebook and her personal website at www.sueparke.com.